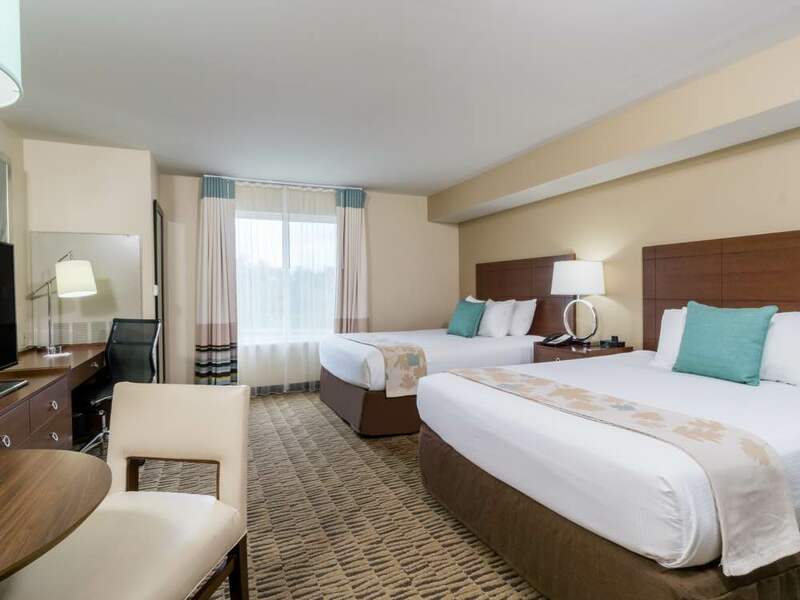 Ideal for business travelers and vacationing couples, our 1 King Bed Suite offers the all the comforts and convenience of home. Spread out in comfort and enjoy residential touches like a fully equipped kitchen, luxurious WynRest bedding and 49 HDTVS with app streaming services such as Netflix, Hulu, YouTube & Pandora. You'll feel thoroughly at home and completely at your best. Fully Equipped Kitchen with a full-sized fridge, microwave, dishwasher, coffee maker & all necessary cooking & dining utensils. 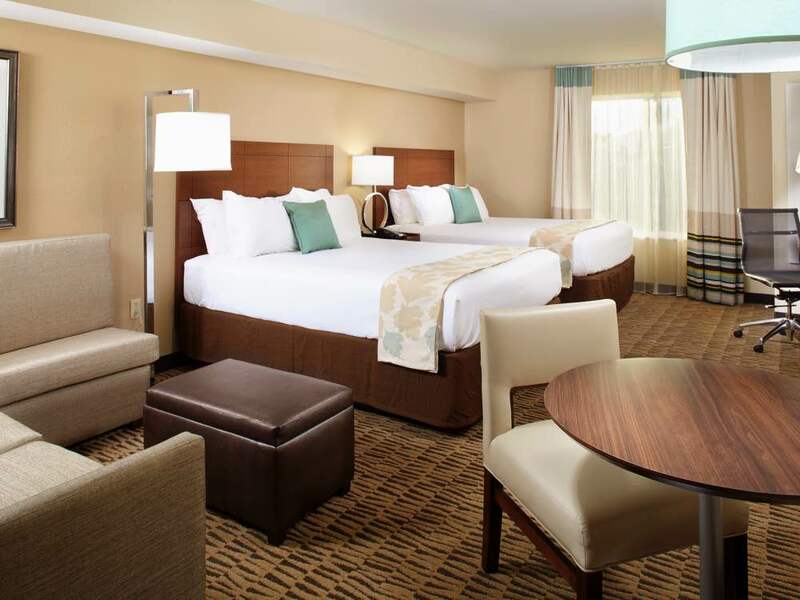 Comfort comes naturally in our 2 Queen Bed Suite offers the all the comforts and convenience of home Spread out in comfort and enjoy residential touches like a fully equipped kitchen, luxurious WynRest bedding and 49 HDTVS with app streaming services such as Netflix, Hulu, YouTube & Pandora. You'll feel thoroughly at home and completely at your best. Unwind inside our 2 Queen Bed Suite offers the all the comforts and convenience of home. Spread out in comfort and enjoy residential touches like a fully equipped kitchen, luxurious WynRest bedding and 49 HDTVS with app streaming services such as Netflix, Hulu, YouTube & Pandora. You'll feel thoroughly at home and completely at your best. Recharge in this family sized suite offering the all the comforts and convenience of home. Spread out in comfort and enjoy residential touches like a fully equipped kitchen, luxurious WynRest bedding and 49 HDTVS with app streaming services such as Netflix, Hulu, YouTube & Pandora. You'll feel thoroughly at home and completely at your best. 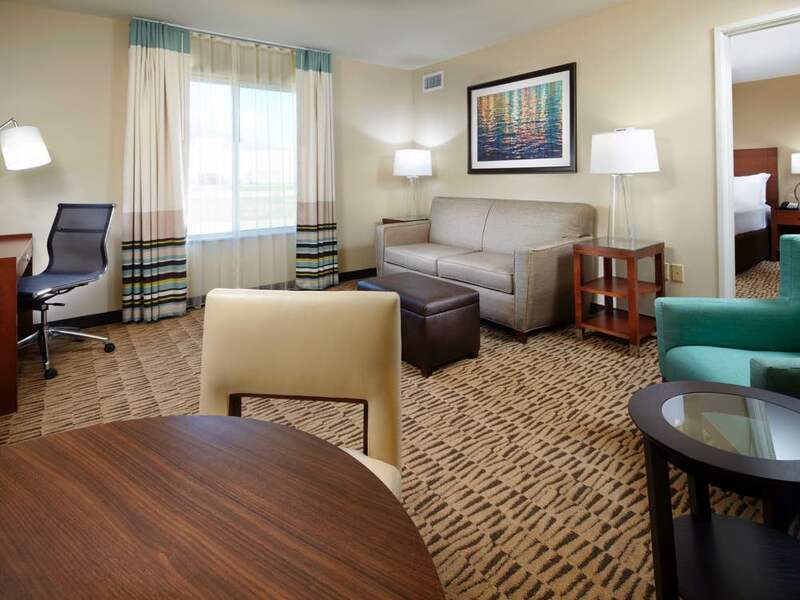 Relaxation if effortless in our King One Bedroom Suite offers the all the comforts and convenience of home. Spread out in comfort and enjoy residential touches like a separate living area, fully equipped kitchen, luxurious WynRest bedding and 49 HDTVS with app streaming services such as Netflix, Hulu, YouTube & Pandora. You'll feel thoroughly at home and completely at your best. Recharge in our extended king one bedroom Suite, perfect for families, that offers the all the comforts and convenience of home. Spread out in comfort and enjoy residential touches like a separate living area, fully equipped kitchen, luxurious WynRest bedding and 49 HDTVS with app streaming services such as Netflix, Hulu, YouTube & Pandora. You'll feel thoroughly at home and completely at your best. 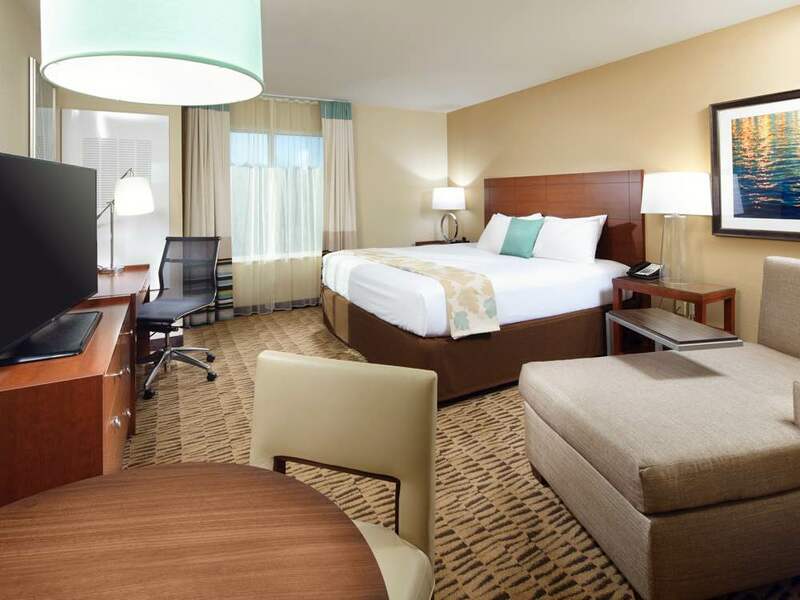 Accessible 2 Queen beds Non-Smoking Suite with free buffet breakfast, free Wi-Fi, sofa bed, fully equipped kitchen, dishwasher, refrigerator and microwave. Accessible 1 Queen bed Non-Smoking Suite with free buffet breakfast, free Wi-Fi, sofa bed, fully equipped kitchen, dishwasher, refrigerator and microwave. Accessible 1 Queen sized bed Non-Smoking Suite with free buffet breakfast, free Wi-Fi, separate living area, sofa bed, fully equipped kitchen, dishwasher, refrigerator and microwave. 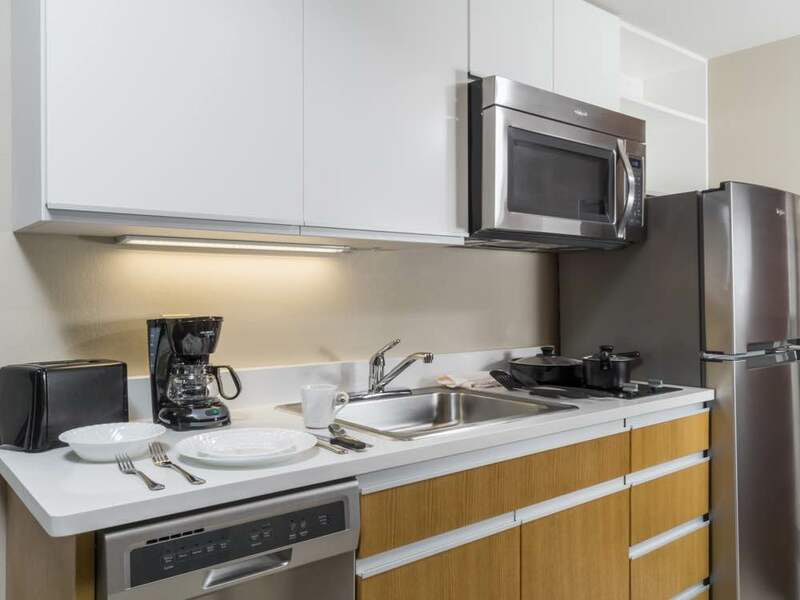 Accessible 1 King sized bed Non-Smoking Suite with free buffet breakfast, free Wi-Fi, separate living area, sofa Bed, fully equipped kitchen, dishwasher, refrigerator and microwave.